SpiderSmart Learning Centers: reason #zillion why we love what we do! reason #zillion why we love what we do! 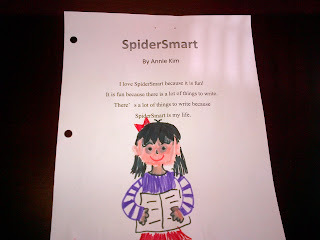 Thank you for your interest in SpiderSmart! SpiderSmart is anything but your average tutoring center. Our personalized programs and handpicked teachers continually make learning individualized and *fun*. We are committed to giving our students unforgettable instruction at the lowest possible price. At SpiderSmart we believe every child has the ability to excel. Proven effective since 1989. For more information, please visit our website at spidersmart.com or email spidersmart@gmail.com. We look forward to hearing all about the needs, hopes, and interests of your children!